Everybody these days has a wealth of advice when it comes to buying new phones, but there is a lack of awareness when it comes to selling our favourite devices. These days smartphones are our hub of social activity and they harbour sensitive information regarding our personal and business lives. In such conditions, it is important to know how to sell your phone in a way that others don’t get your precious data as part of the deal. Here we’ll discuss some ways that will go a long way to ensure it isn’t a piece of cake to recover data from your device. Here’s an incident that will be an eye-opener. In an experimental study, Avast bought 20 second-hand phones off eBay. The security firm was easily able to recover erased photos, Google searches, emails, text messages, and contact details on these phones. Now you wouldn’t be too comfortable if that happened to you, would you? Well, let’s make sure it doesn’t. One thing worth noting here is that as long as the device memory is physically intact, there is a slight chance for people with the right tools to recover data. But this is not always possible. As it would require a level of technical expertise that most people don’t have. 1. The first thing to do is to encrypt your data before you erase (factory reset) stuff. 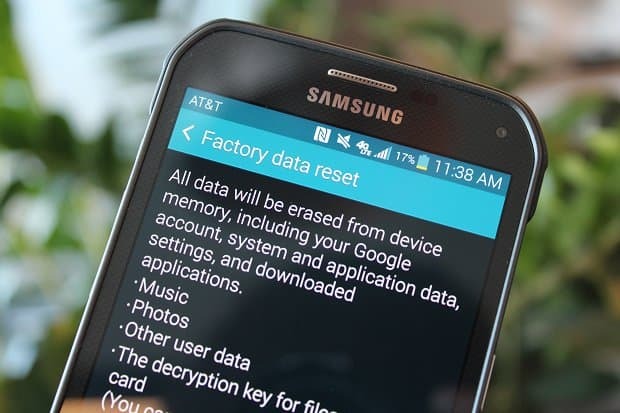 Factory reset, contrary to what the name suggests, doesn’t completely wipe data. Hence, it is possible to regain that data with some recovery tools easily available on the Internet. Encrypting data will make those tools useless. It will effectively scramble your data and a key will be required to decrypt it which only you will have. 2. If you have an Android device below Marshmallow, you’ll find the options in Settings > Security > Encrypt phone. The process might take some time but it will be worth it. This setting might be under a different tab in different OEM phones. We’re talking about stock Android settings. 3. Android devices with 6.0 and above usually have default encryption enabled so your work is cut out here. 4. Next, you should log out of any important accounts, especially your Google account before hitting factory reset on the device. 5. The next step is to be extra sure that your data will not be found. That is to load dummy data. Dummy data can be anything that overwrites what’s on your storage previously. In this case, two three HD movies will do the job. After that, once again factory reset your phone. Oh and in case, you’re still unsure about your data, you can repeat the dummy data step as much as your heart is content. Then again, you could put your phone under a passing car, or better yet, drive your own car over it again and again until it is not recoverable even physically. We’re just kidding. Note: We presume you’ve already removed Factory Reset Protection (FRP). This was introduced in Android 5.0 Lollipop and above to prevent thieves from resetting stolen devices. Generally, it can be removed by disabling the lock screen. So, how’d you like these steps? Did we miss out on something? What methods do you follow to delete data before you sell your phone? Let us know in the comments below.